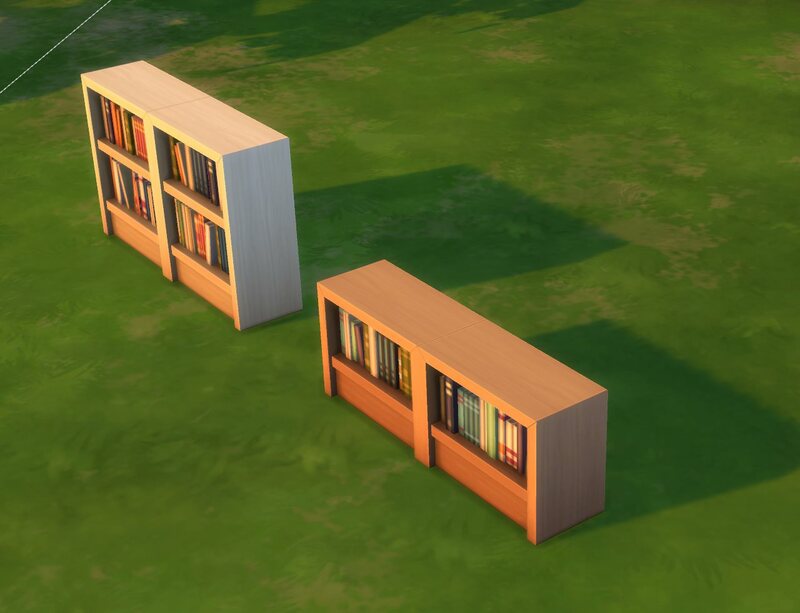 Two lower-height bookshelves that match the Maxis “Towering Intellect” bookcase, specifically my mesh edit for it (which makes it less clunky). 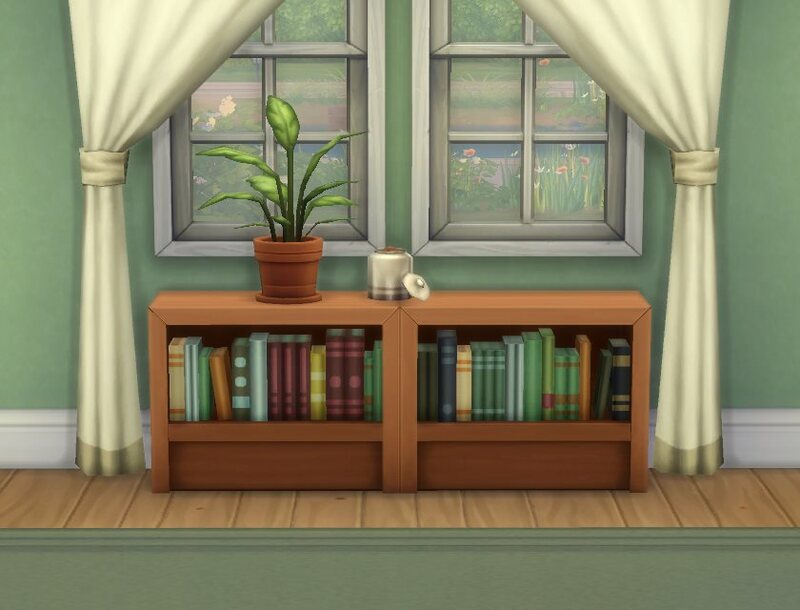 They have slots for deco items on top and are very useful as sideboards or to put underneath windows. 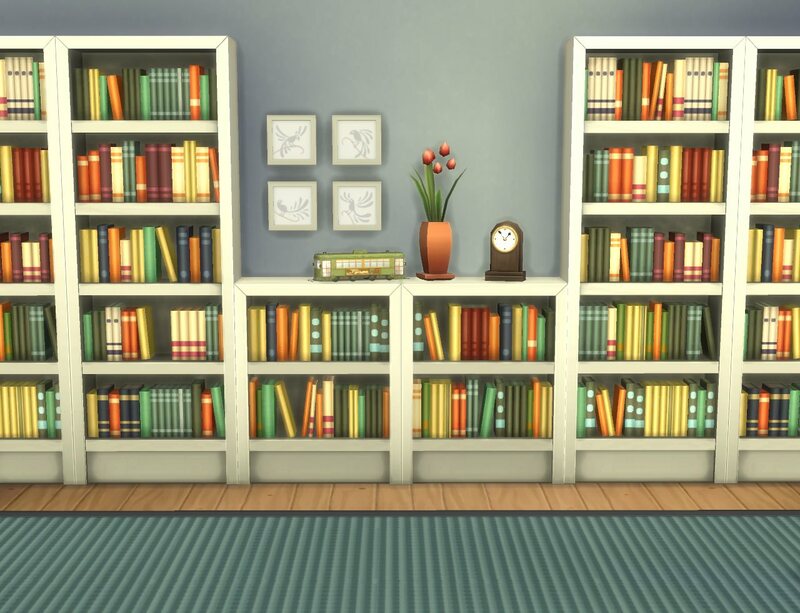 Some recolours for these (and also the Towering Intellect) are available here. 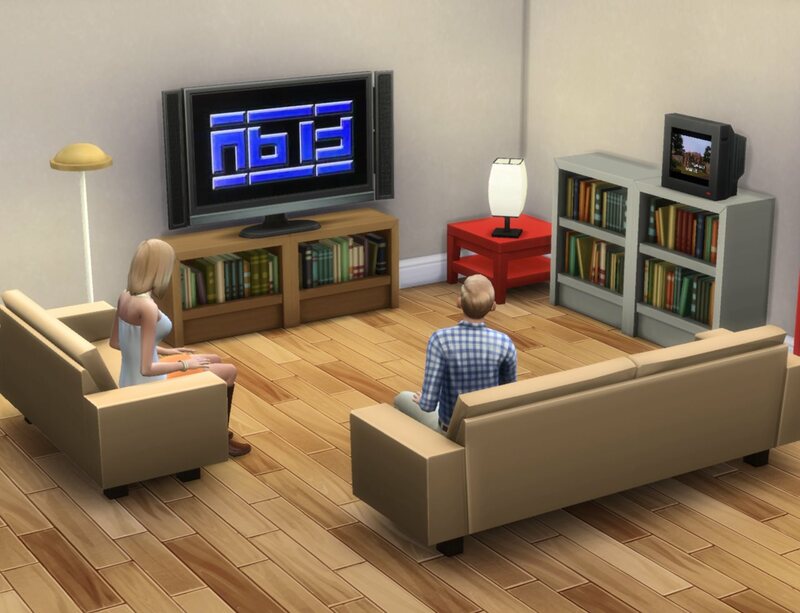 Update 2015-03-29: Fixed the TV slots and reuploaded (thanks to Panoca for reporting the problem!). 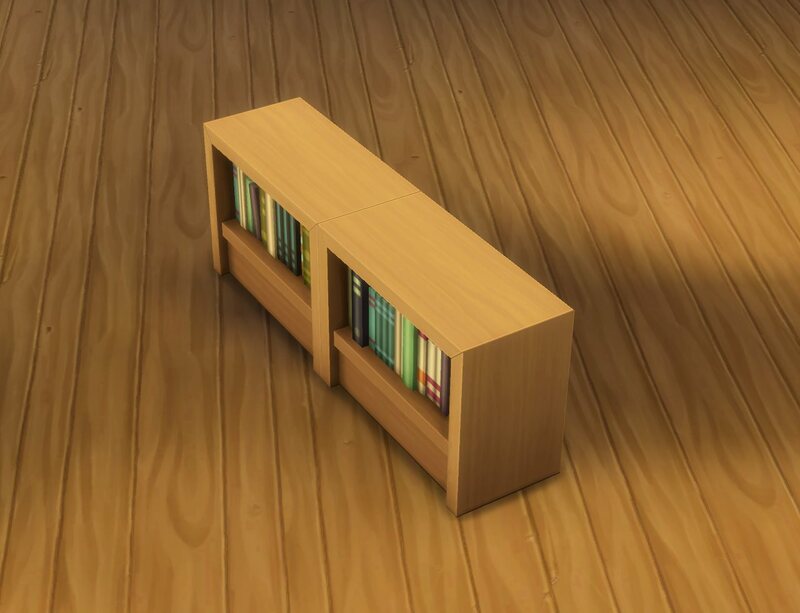 Not sure whether this only became an issue with 1.5.139 or was already broken before that, in any case the slots now work properly when used with TVs. 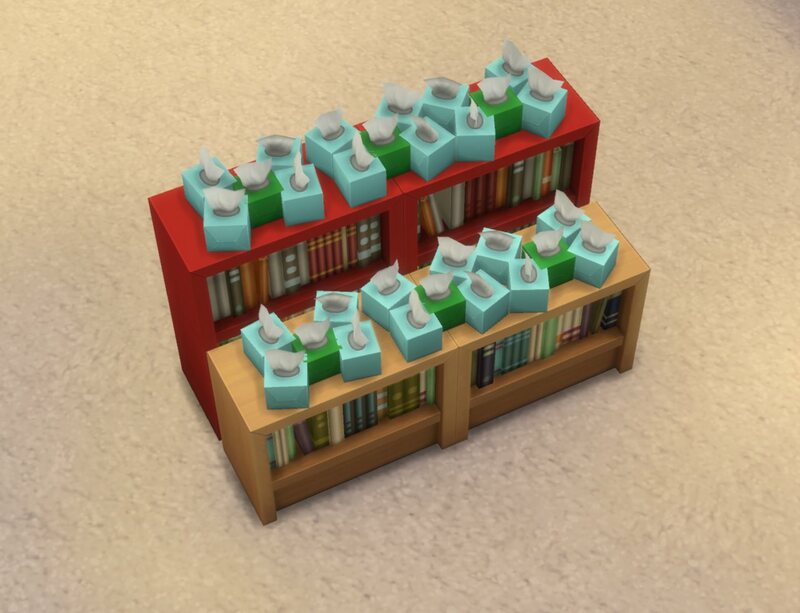 See also the “slots_1.5.139” screenshot -- the blue tissue boxes sit on small deco slots, the green ones on Medium. 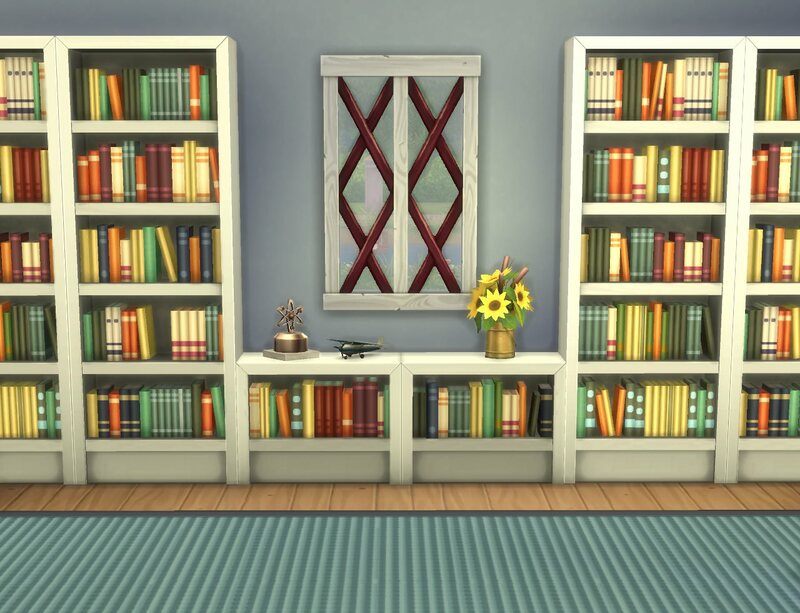 These are referencing all textures from the existing Maxis bookcase, so they’re guaranteed to match and are also very lightweight. 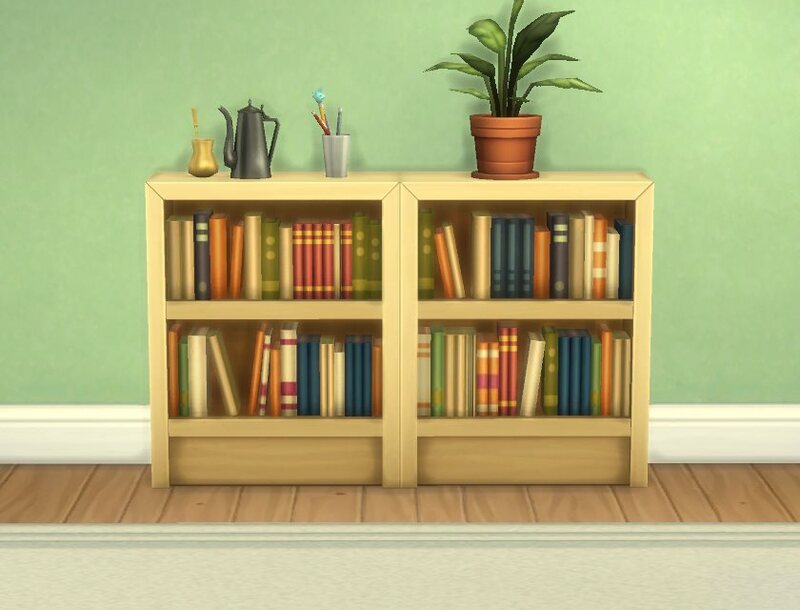 Any texture overrides you have for the original (like the ones from here) will also work for these. 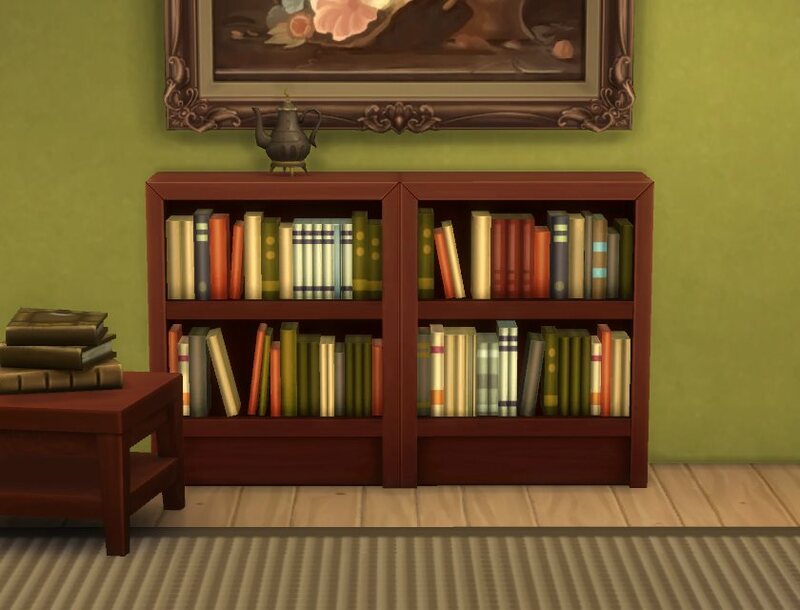 The books are in a different order in each one, so that they don’t look overly repetitive when used in combination ‒ see the “combo” screenshots for that. 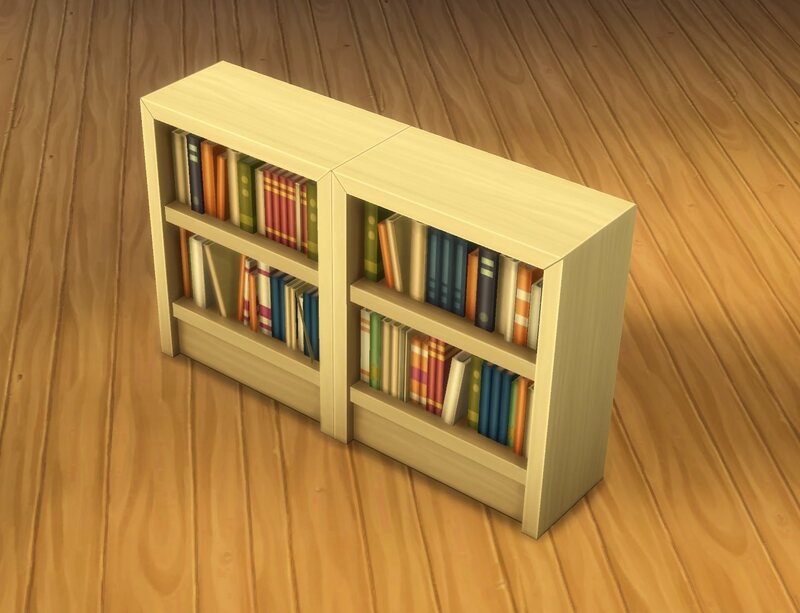 The backside looks reasonably nice as well (that is remapped as well, not stretched/squeezed) so they work nicely as room dividers too. 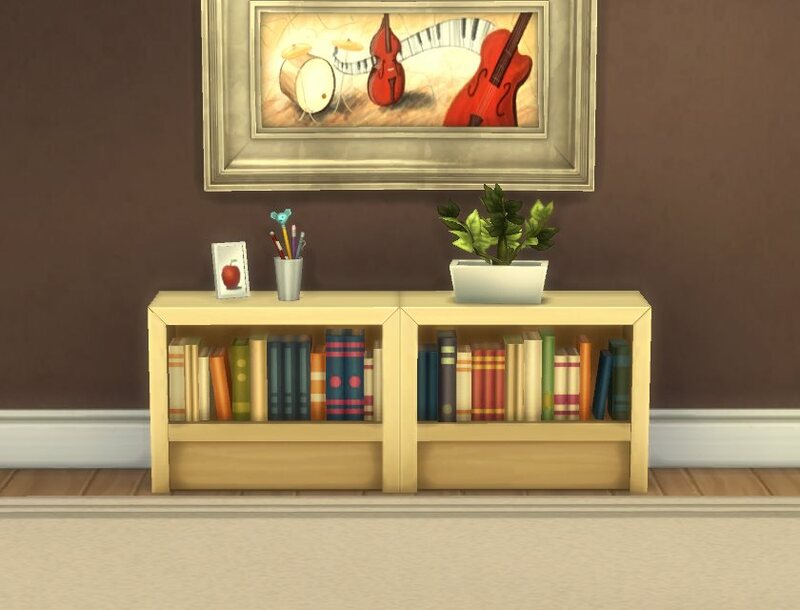 Tuning is the generic Maxis bookcase tuning (i.e. 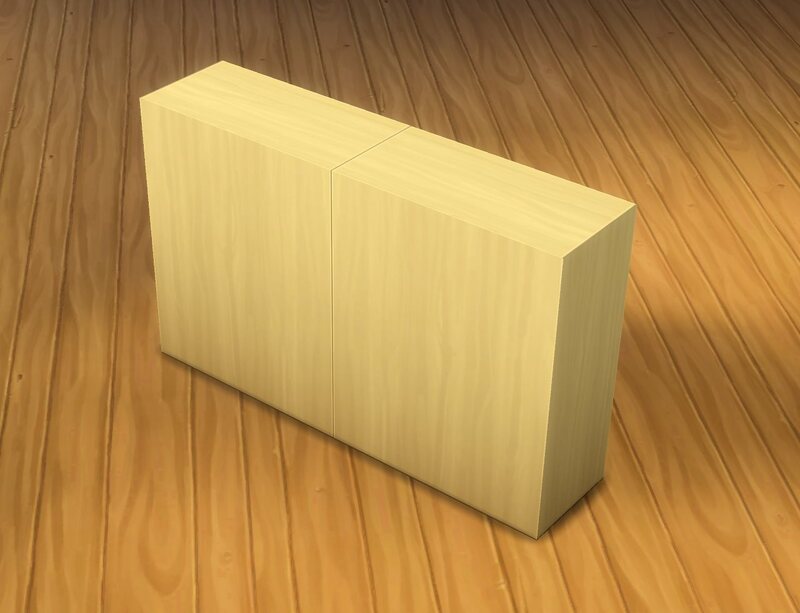 like the original item), deco points are a bit less than that since these are quite a lot cheaper. Found in Bookcases for 480§ (Subordinate Intellect ‒ the one-story shelf) / 800§ (Moderate Intellect), three colour options each. 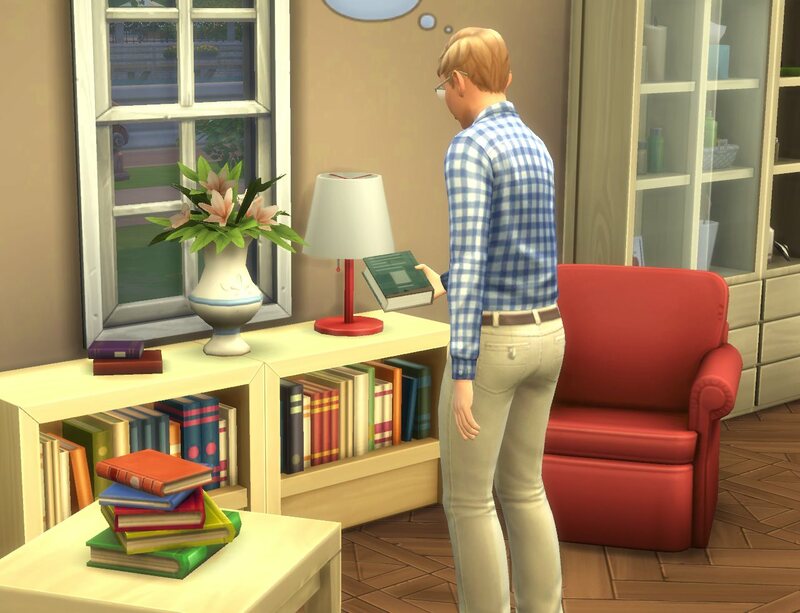 The “combo” screenshots show a recolour that is available here; mesh/mapping/slots are the same. 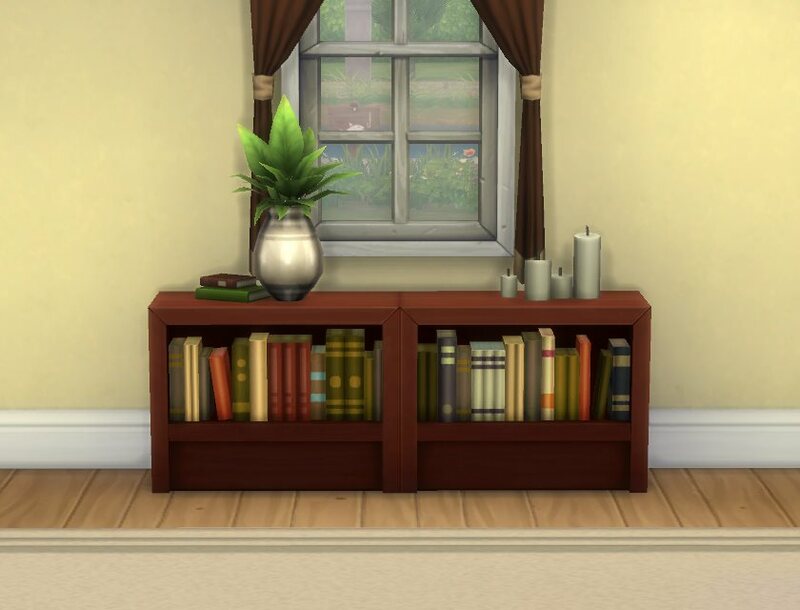 All of the other screenshots are taken using these texture overrides (the wood texture is unchanged on that, but the colours of the books are different from the Maxis default). BY-NC-SA Creative Commons; for the Attribution please link to this post. 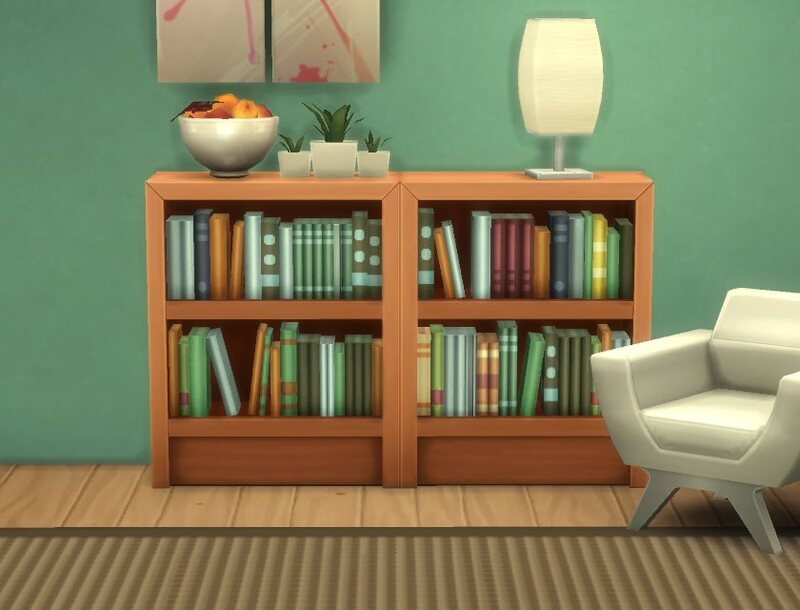 Also, I would suggest you recolour the Maxis bookcase and then reference that, instead of recolouring just these. blender, s4pe, Milkshape, TSRW, ModdingToolkit. 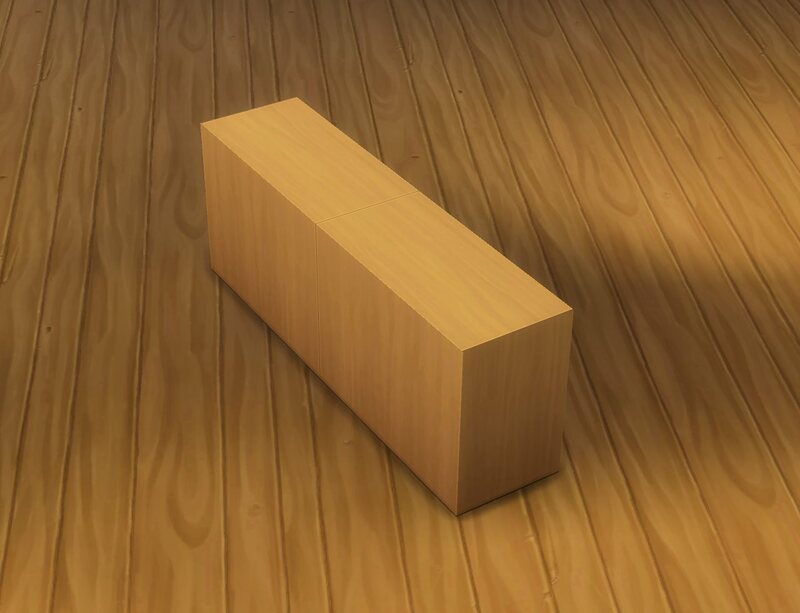 Special thanks to Buzzler for writing the float<->hex number conversion tool I used to re-do the slots.